This guy is perched at the top of Rye Lane. 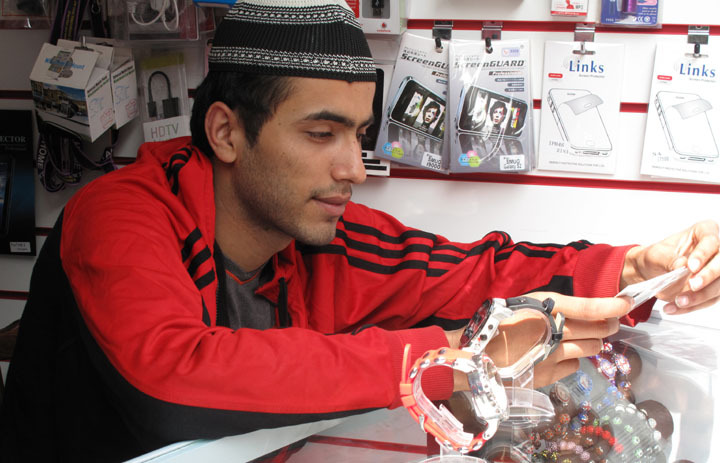 He’s selling phone paraphernalia but what draws the eye are the watches (bleached out in the photo by the sun) studded with diamonds, rubies, emeralds. A man asks the price. They are £15 each. He examines one but doesn’t buy it. This entry was posted in Peckham, Photography and tagged Peckham, Rye Lane, Watches. Bookmark the permalink.